China Ceramics Enterprises (CCE) is the largest manufacturer & exporter of ceramic rollers, alumina grinding balls, ceramic foam filters, glazed & polished tiles, arts & crafts products in China. Today, as the famous joint ventured Hi-Tech enterprises, our comprehensive CCE™ brand products have gained a great deal of favor among the customers from over 47 countries because of the superior quality. BEST QUALITY, COMPETITIVE PRICE, SWIFT DELIVERY, BEST SERVICE & TIMELY AFTER-SALES SERVICE is our vantage; ESTABLISHING A LIFE-LONG AND FRIENDLY RELATIONSHIP IN WIN TO WIN BUSINESS COOPERATION is our goal. We are constantly devoting ourselves to launching and upgrading our ceramic products in order to meet the market requirements worldwide. We can also manufacture the products according to your samples or drawings ( OEM ). If you are successful importers in your local ceramic markets, warmly welcome to contact us, or visit our factories in Foshan, Guangdong and Zibo, Shandong, China, we are sure we will set up the best example relationship in the business cooperation in the shortest coming days. Shanxi Hejin Zhongda Ceramic Rollers Co., Ltd.
Zibo Joyson Advanced Materials Co., Ltd.
Shandong Tecera Grinding Balls Co., Ltd.
Zibo Dehuilai Alumina Grinding Balls Co., Ltd.
Weifang Aoke Refractory Materials Co., Ltd.
Foshan George Import & Export Co., Ltd.
Foshan Golden Rainbow Ceramics Co., Ltd.
Shandong Ruifeng Arts & Crafts Co., Ltd.
Like a flourishing tree continuously to put on new wood and foliage, CCE™ has become stronger and more harmonious, coupled with a tremendous number of high-grade talents and skilled workers, a great deal of nationwide patents and three hi-budget production bases in manufacturing ceramic rollers with annual output of 2,000,000 pcs and Alumina balls 2,500,000 Tons. As a world famous combined and joint ventured enterprises, especially the largest one in producing ceramic rollers and alumina grinding balls in the world, our products are not only holding the largest market sales share in China, but also have covered more than 47 countries in the world, such as Spain, USA, Turkey, India, Iran, Vietnam, Thailand, Ukraine, Poland, Indonesia, Malaysia, Brazil, Mexico, Japan, Korea, France, UAE, Italy, etc. 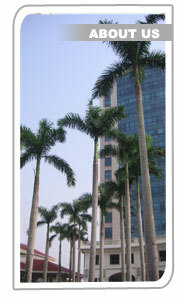 We are confident and conscientious to be a reliable supplier for all the customers from all over the world. IF YOU MANUFACTURE THE PRODUCTS BY YOURSELF, OUR PRICE IS LOWER THAN YOURS. IF YOU BUY THE PRODUCTS FROM OTHER COMPANIES, OUR PRICE IS LOWER THAN OTHERS. Address: Room 1701, 17th Floor, Ricky Center, No. 36, Chong Yip Street, Kwun Tong, Kowloon, Hongkong.